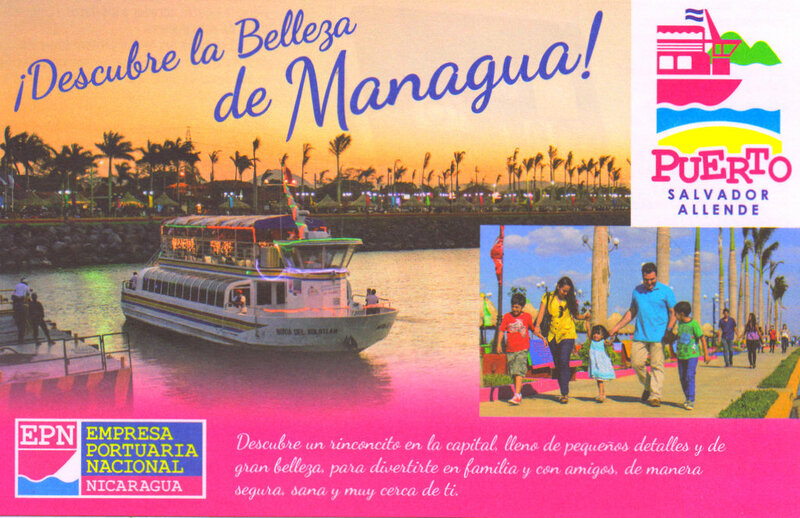 The Nicaraguan government has made admirable efforts to promote tourism in Managua. The Salvador Allende Port is a good example. In a newly renovated downtown area, you can board one of several boats for some quick trips out on the lake. The "Isla del Amor" trip costs C$70 for adults and C$30 for children (10 years or under) for general seating. If you want the preferential seating (outside, upper deck) it costs C$100 for adults and C$50 for children (10 years or under). The quick trip lasts 50 minutes. Schedule: Tuesday to Sunday 11:00 a.m., 1:00 p.m., 3:00 p.m. y 5:00 p.m. There is a night trip that I am dying to take. It also runs Tuesday to Sunday at 6:30 p.m. Prices are C$100 for adults and C$50 for children (10 years or under). Note: The boat only leaves with a minimum of 18 passengers.